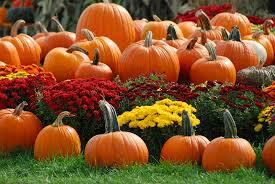 October is a great month to get all the last minute items done on your property. It is still warm enough … but not for long. The following are some items you should accomplish before it gets too cold. • Continue planting trees and shrubs. • Transplant trees and shrubs. • Planting of ornamental Kale, Mums, etc., which will decorate your property for Fall. • Clean perennial beds – deadhead blooms, prune to shape or cut back dead foliage. • Remove leaves from beds. • Continue to edge beds. • Prune – make sure it is the proper time for the particular plant, though. • Continue to water, especially new plantings. • Mow lawn, as needed. • Remove leaves from lawn. • Core Aerate and Overseed, if not already done. You can do this through mid-October.